Spied this on the floor of the bathroom and actually laughed out loud. 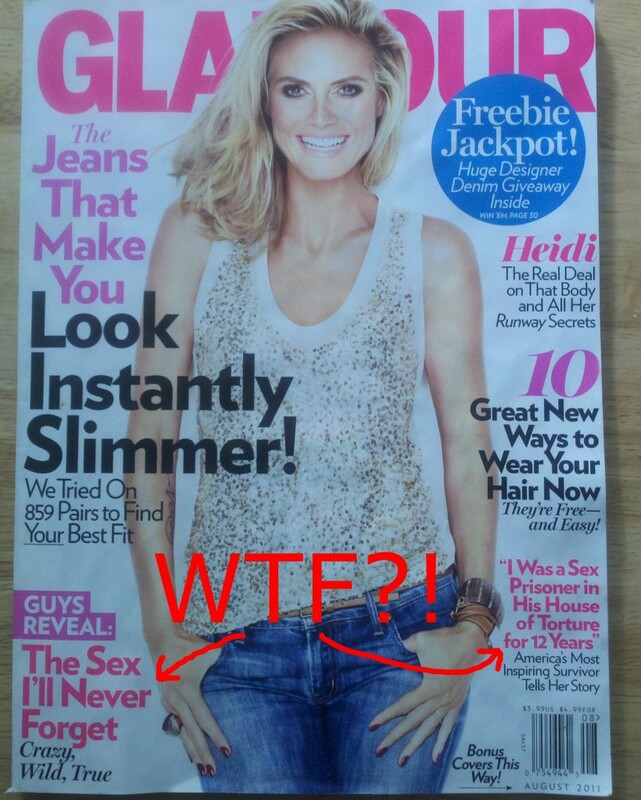 Thanks Glamour for getting both sides of the story. This entry was posted on Sunday, August 7th, 2011 at 12:14 pm	and is filed under Life in general. You can follow any responses to this entry through the RSS 2.0 feed. You can leave a response, or trackback from your own site.